You can learn from Mistakes or Mentors... Realize Mistakes are MORE Costly! So who is “Pam Perry Mentoring” right for? 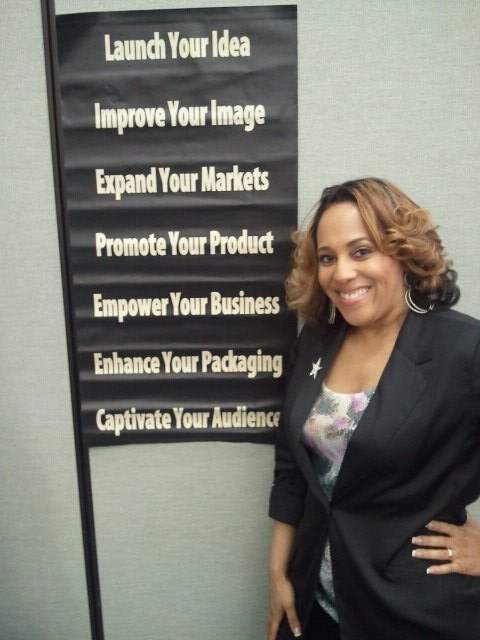 At the end of the day, my mentoring program is for people who want to get their message out there to the masses and generate income while doing it. They want to become a brand-name author; they want to build a successful business they want to grow their ministry; they want to build a powerful platform and attract their target audience, as well as media attention. But wanting those things, and having the skills to actually bring those desires to life, are two completely different things. Having will and desire creates a dream. Developing skills make that dream a reality. I’ve spent over 20 years of my life acquiring the skills to do exactly that, and as a result, I’ve been able to leave my corporate job and run my own successful business since 2000 - helping thousands of authors, consultants, coaches, ministry leaders and "authorpreneurs." Regardless of who you are and what you’re trying to achieve… If you want me to teach you what I know when it comes to PR, branding and building a powerful platform… If you want me to share my lessons learned when it comes to marketing and social media mastery… Or if you simply want access to me so that you can ask questions whenever you get stuck trying to do something, then this program is exactly what you’ve been looking for. Are you really going to answer all of my questions via video every month? I am, and I decided to do it twice a month instead of just once a month. I’m creating video responses because I’ve found that the best way to answer many questions at one time in a way where you get a complete understanding of everything is to verbally explain it, as opposed to writing emails or posting in forums. Sure, I could create an audio only answer, but video is more personable and that form of media caters to my personality. OK, What’s the catch? Why Is It so inexpensive? 2) Do it at a price so low that everyone can participate. Many people come to me wanting help, but they’re not able to afford my private coaching services or my “done for you” services. That’s why I created my 4 week PR bootcamp several years ago and, depending on what I offered during a particular bootcamp, you could have participated for only $600 - $1000. That price was still a stretch for many of the authors and speakers that have been coming to me for help over the years, so I wanted to create an even more affordable solution than the bootcamp. However, I had to consider that I pour a lot of time and energy into helping my clients and students, so there was no way I could possibly lower my prices and still make it a fair exchange for both parties…. But I never stopped thinking about what I could possibly do. I’ve always been contemplating how I could help more people the way that I do with my private clients, and still be affordable at the same time. 1) By recording my PR Bootcamp sessions and creating notes for each session, then packaging it all up as a home study course, I could help more people without spending more time. 2) If I created a private membership area and allow people to ask me questions when they get stuck and post a video response answering everyone's question, that would really make a difference in the success people would have. This is because they would have someone to turn to when they need clarification on things, as opposed to having an information product by itself where there’s no one to call on when you need help. And since I’m answering questions from various different people, everyone would hear the answers to questions that they may not have even thought of. Then there’s those who may be afraid to ask questions. Well, they don’t even have to worry because someone else may have already asked a question about something they were thinking about too. SO… I’ve decided to actually make a substantial change in my business model. I’m still accepting private clients, but I also want to offer an alternative option for those who are not able to afford my private one-on-one coaching. That’s why access to my 6 month mentoring program is not going to cost you hundreds (and in some cases thousands) of dollars per month. It’s only one single payment of $197. There are no upsells and there’s absolutely nothing else to buy. You get access to all the mp3 recordings of my last PR 2.0 and Platform Building Bootcamp series, along with all the notes; access to my checklists, outlines, and example templates; access to me via a private Facebook group AND a private contact form where you can ask me any questions at any time and then view my video response that will be posted in the member’s area; and access to my live teleclass that I will have once a month....all of this for just one single payment of $197. PERIOD. My goal is to help as many people as I possibly can, so I gave this program a price that anyone can afford. Just head over to www.pamperrymentoring.com. I’ve posted a short video that will explain the program to you, so you’ll know exactly what you’re going to get for the next 6 months, and how you’ll benefit.